"Is it possible to play HIGH NOTES with the same EASE as lower ones?" The short answer is "Yes. IF you know how." 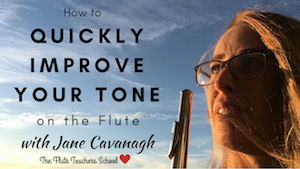 I recorded a 5 minute video for you and I go into juicy detail about howyou get to the stage of playing high notes with as much ease as low notes. Watch here if you're curious!